ThomsonAdsett has designed and delivered Racecourse Village in Ascot, one of Brisbane’s most exclusive suburbs. 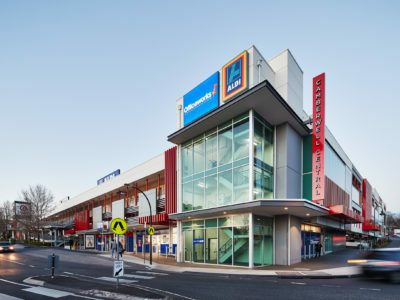 This neighbourhood shopping centre developed by the Brisbane Racing Club is an iconic gateway to their historic Eagle Farm Racecourse. 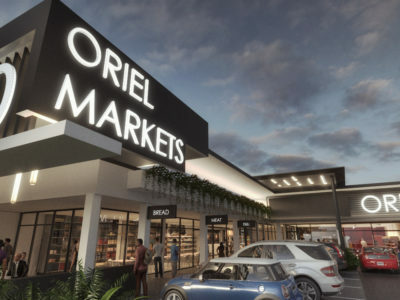 Racecourse Village sets the new benchmark for neighbourhood supermarket-based centres with the latest Woolworths fit-out design and an al fresco dining precinct, combined with specialty service and lifestyle tenancies designed to maximise customer convenience and amenity. The 6,000 square metre centre is over two levels with on-grade car parking for 300 cars. 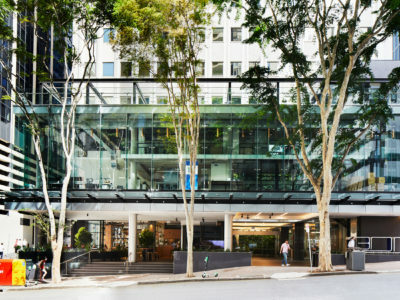 This village hub is a contemporary architectural statement that perfectly melds with the classic charm of the adjoining heritage racecourse precinct, which has been an integral part of the community for over 150 years. The ‘hero’ design element is the dual gabled, barn-style roofs that romances the grandeur of the nearby heritage grandstands and stables. Graphic images of horses are imprinted into elements of the building fabric as a respectful nod to the Racecourse. 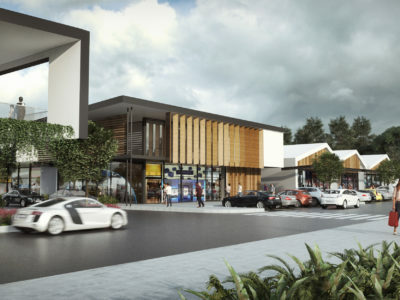 Racecourse Village offers a premium retail experience to sustain the local community and the Brisbane Racing Club into the future.